In 1975, Warner Books released two wonderful, but tragically overlooked, volumes of Sherlock Holmes inspired speculative fiction. The first was Avram Davidson's The Enquiries of Doctor Eszterhazy, a distinctive character of charm and grace who is an original creation for all that Davidson was inspired by Doyle's Consulting Detective. The second book is a collection of tales by Manly Wade Wellman featuring Sherlock Holmes, Dr. Watson, and Professor Challenger as they deal with the Martian invasion previously chronicled by H.G. Wells entitled Sherlock Holmes's War of the Worlds . This "fix up" novel collects six short stories and combines them into a novel length adventure. 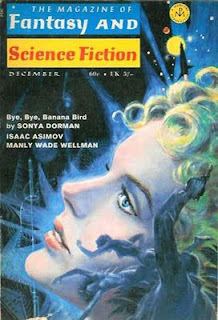 The first of the stories, "The Adventure of the Martian Client" was originally published in the December 1969 issue of The Magazine of Fantasy and Science Fiction. The other stories in the volume either appeared in later issues or were written specifically for the Warner volume. 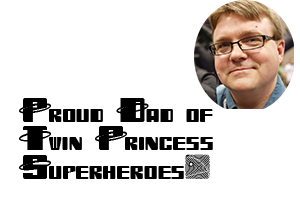 "The Adventure of the Martian Client" begins brilliantly with Watson informing us of how tragic it is that society has chosen to follow H.G. 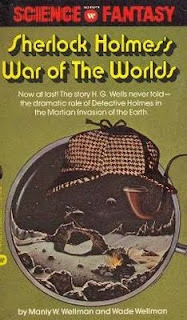 Wells' account of the Martian invasion while totally neglecting the contributions of Sherlock Holmes and Professor Challenger. As Watson puts it, "H.G. Wells's The War of the Worlds is a frequently inaccurate chronicle by a known radical and athiest, a companion of Frank Harris, George Bernard Shaw, and worse. He exaggerates needlessly and pretends to expert scientific knowledge which he does not possess. Yet scientists and laymen applaud him, while scorning the brilliant deductions of Sherlock Holmes and Professor George Edward Challenger." I initially found Watson's tone to be a little stronger than I am accustomed to reading, but quickly caught on to what Manly Wade Wellman -- and his son Wade Wellman -- were up to with the story. It is really quite brilliant. The Wellman's are using the lens of Holmes pastiche through which they are applying the modern scientific understanding of Mars over the representations of the Martians and their technology in the Wells novel. By doing so, they eventually add a greater possibility to further stories of Man vs. Martian than would have been allowed under the Wells model. The Wellman team do a good job of presenting the strengths of both Holmes and Professor Challenger, and of conveying the tension of the Wells story while still following the Holmes model of "a client arrives." In the post script to "The Adventure of the Martian Client" published in the December 1969 issue, the younger Wellman sites a viewing of A STUDY IN TERROR as the inspiration for writing a Holmes meets the Martians tale. In A STUDY IN TERROR Holmes applies his detective skills against Jack the Ripper. The younger Wellman also expresses a certain amount of disdain for the 1953 WAR OF THE WORLDS film. His primary complaint was that it was unnecessary to update the classic story to place it in contemporary circumstances and by doing so the movie makers overlooked the point of the story. I disagree that the 1953 film is weak, but agree that "updating" the story changed the underlying philosophical discussion. Wells' underlying message was one of the possibility that mankind might meet a being who thinks of us the same way we think of farm animals. The filmmakers of the 1953 story were grappling with the destructive power of nuclear weapons and had an opportunity to demonstrate their "ineffectiveness." I would argue that the most recent Spielberg version, which also updates the tale, keeps Wells' original philosophic statement, but is a worse translation of the story even so. 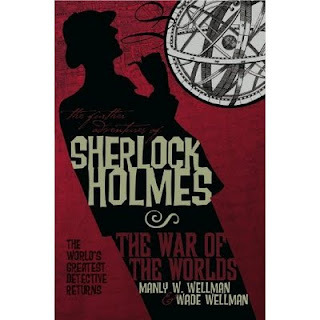 The stories in the Wellman Holmes vs. Mars cycle are entertaining and we can be thankful that Titan Books is releasing a new edition of this collection of the stories on the 17th, timed to feed off of the upcoming SHERLOCK HOLMES motion picture starring Robert Downey Jr. Hopefully a large number of people will read this collection of stories and discover the joy that is Manly Wade Wellman. He was one of the great voices in Fantasy fiction, a voice that wandered roads not typically encountered by the modern Fantasy reader. Interesting post. I found the romance between Martha Hudson and Holmes to be jarring, however. That was totally out of left field, if you ask me. If anyone is interested, I have just re-issued my novel, THE PANDORA PLAGUE and it is available at Amazon.com. It tells of the first association of Sherlock Holmes and magician, Harry Houdini (pre-dates the Daniel Stashower novel). The new edition is enlarged and annotated. Check it out at http://www.pandoraplague.com; or my blog on screenwriting, THE LAST REVEAL at http://thelastreveal.blogspot.com/.